Copy MP3 files from iPod to hard drive. Is there a better alternative to iPod Access? Is iPod Access really the best app in MP3 category? Will iPod Access work good on macOS 10.13.4? 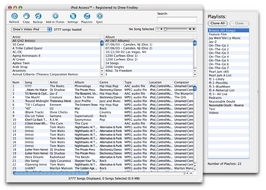 iPod Access is the leading iPod/iPhone music and video transfer application for the Mac. With iPod Access you have instant access to all the songs on your iPod or iPhone. Your songs can be be displayed and sorted in almost any fashion so you can find the songs you need right when you need them. 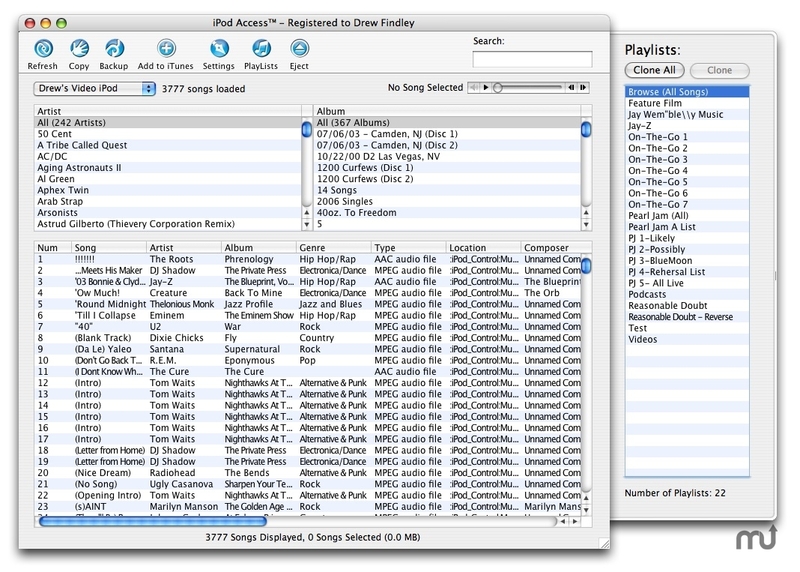 With the new instant search feature in v4 you can find songs just as quickly as you would in iTunes. And once you have found the songs, movies and playlists that you want, iPod Access will copy them right back into iTunes or to an external drive for backup. If you need music from your iPod back on your computer then you need iPod Access.